Is Student Debt Holding Millennial Buyers Back? 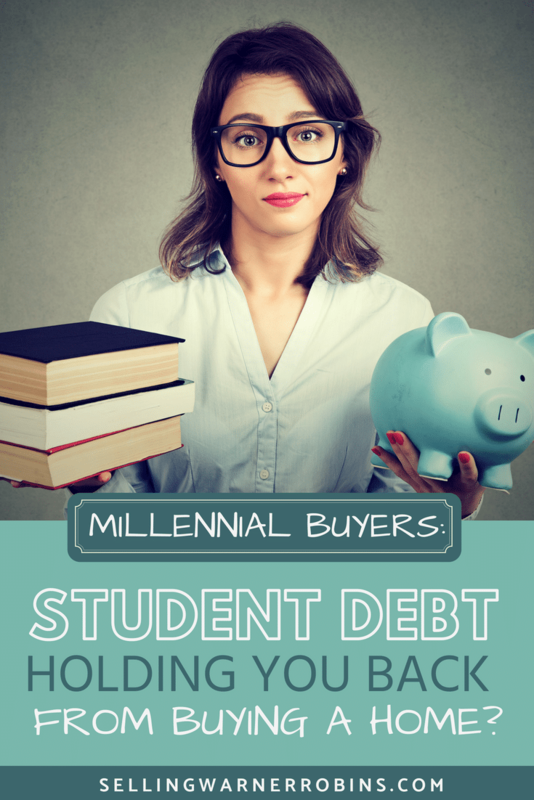 Millennial Buyers: Is Student Debt Holding You Back? In some markets, millennial buyers may not have sufficient funds to purchase a home right now. The housing market may have recovered sufficiently in many areas around the country, but there is one factor that can still affect sales: student debt from college loans. The normal pattern for generations has been that people entering their thirties start thinking about buying homes and raising children, but millennials are dragging their feet on both matters. Not only has the marriage age increased to 29 for men and 27 for women, according to census.gov, but many Generation Y consumers are also delaying the purchase of their first homes. The trends are clear, but why are they being tied to rising student loan debt? To understand the correlation, you have to look at these trends from a variety of viewpoints as depicted below. On September 15, 2015, The Washington Post, detailed new rules that may have made housing less affordable for millennial buyers who want to get a home loan via the Federal Housing Administration. The new rules closed a previous loophole that allowed people who had student loans on deferment for at least a year to not count them in their debt-to-income ratio. According to the Federal Reserve Bank of New York, our country has $1.2 trillion in student debt! Instead, lenders were instructed to take 2 percent of the total owed to determine the monthly debt owed. For instance, a person with a student debt loan of $20,000 was now assigned a monthly debt of $400 since it was 2 percent of $20,000. This significantly affects the debt-to-income ratio for millennial buyers and makes it much more difficult to qualify for a home loan. CNBC estimates there are over 40 million borrowers and the average debt load is about $29,000. That would make their estimated monthly payment under the new rules closer to $580, instead of $400. Rclco.com reiterated in a recent article they estimate that 68 percent of that debt is held by borrowers over 30 years old. Yikes! These are people that are in the prime age group to buy their first home. Instead, what is happening is that fewer and fewer millennials are purchasing homes simply because they cannot afford to. Many are just trying to get through to the next payday, not think about saving for a down-payment on a property. Increase Demand and Prices in Rentals – Since people cannot afford to buy, they will choose to rent. As more individuals seek to rent, the prices in over-saturated rental markets go up as demand increases. This puts a large dent in budgets as the monthly outlay can increase year after year, making it hard for millennials to save money for their down payment on a house. Make Millennials Less Entrepreneurial – Since they have a large debt obligation they need to make each month, in addition to rent or auto insurance payments, millennials are inclined to find stable employment instead of opting for entrepreneurial activities. Reduces Millennial Buying Power – Large student loan payments result in reduced buying power for millennials who favor cheap alternatives for practically everything, from using Netflix instead of satellite internet and television to renting instead of buying. However, this means that their net worth also doesn’t increase much over the years, leaving them in a state of constant leasing. According to a recent study reported on by the LA Times, 414,000 new home sales will not happen in 2016 because of student debt loan. That is a considerable number of non-sales and affects the real estate industry all over the nation. They are not the only ones reporting on the decline of home ownership rates. Census.org shows that home ownership rates have dropped from a high of 69.2 percent in the fourth quarter of 2004 to a low of 63.5 percent in the first quarter of 2016. This represents the loss of millions of home sales during that time. Currently, nearly 6 million consumers owe $250+ each month in student loan paybacks! The recession is partially to blame for people losing their homes, but it will take a long time for the economy to make up for the loss of sales, and for Realtors® as a whole who depend on sales to make a living. Not all is hopeless, however, as millennials are beginning their careers and finding stable employment. The worst of the recession is over and people are starting to make some financial gains. Many millennials are also starting to pay off their student loans at an accelerated rate. The housing market values have recovered around the country. For local real estate agents who want to work with millennials, it may mean that they will need to provide some financial education on how the Generation Y crowd can afford a home. Perhaps that includes making a down payment as a result of receiving gift funds. Agents may need to help more millennials get pre-qualified to understand whether home ownership is something they can swing in the near future or not, depending on their debt load and whether they can pay off the student loan early. If they can get a loan from a family member to pay down the student loan debt and switch it to a personal loan instead of one they owe the government or a private bank, it can make the numbers look a whole lot better. While it may be near impossible to get loan forgiveness for high student debt, it is not impossible. There are programs that forgive student loan debt, if you meet the qualifications. If you are a teacher, a doctor, or work for a non-profit and meet other criteria, then you may actually get your student loans forgiven after a period of time. Check with the human resources department where you work or try to negotiate student debt forgiveness into the benefits of your new position if you can. This is information that needs to be relayed to potential millennial buyers so they know there are still options available to them to get their loans forgiven, if not paid off, and thus putting them in a position to buy a home sooner. Obviously, the key to avoiding this issue is to try and avoid student debt to begin with. Unfortunately that is not possible for thousands of millennials who are working hard to finish school and will be straddled with large debt and several years of repayment. Get help where you can, and if possible, payback more than you owe each month to help drive down the overall debt. With a plan of attack, and patience in the process, your options of buying a home are not as bleak as they may seem. Like all debt, make on-time payments to help keep your credit score strong so you qualify for a loan when the time comes to buy a property. 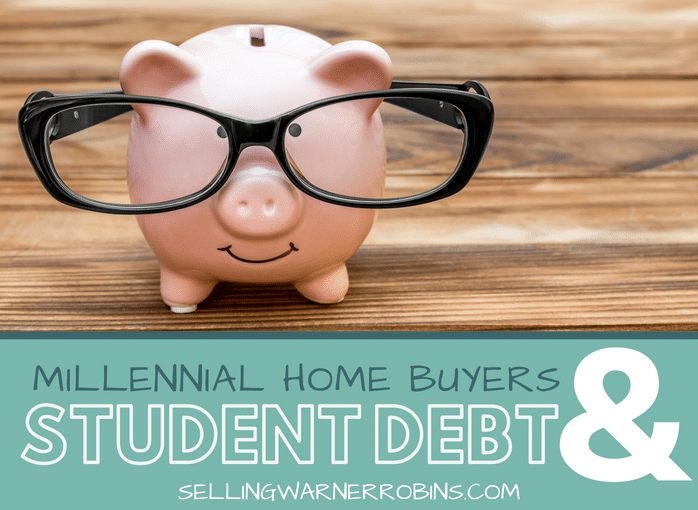 Is Student Debt Holding Millennial Buyers Back From Buying a Home?